Browse content similar to 30/11/2015. Check below for episodes and series from the same categories and more! talks to try to cut global emissions. "The world is looking to you. The world is counting on you". to discuss the issue of airstrikes against IS in Syria. Labour says many of its members are opposed to it. Ireland's abortion legislation is in breach of human rights laws. mistakenly identified by their school and council. 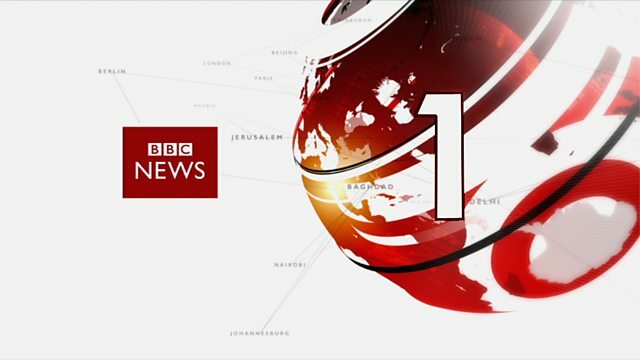 Good afternoon, and welcome to the BBC News at One. in Paris at the start of critical climate talks. levels. Some argue that even the 2 degrees target isn't low enough. optimism it can work. The problems are there, but they can be solved. doesn't sound like a man in the mood for compromise. You are very rude. support him on Syria? How does Jeremy Corbyn keep it all together? agree on whether to allow Labour members what is called a free vote. wants the RAF to do - drop bombs on so-called Isis targets in Syria. whip his MPs in opposing military action. Thank you. legislation in Northern Ireland is in breach of human rights laws. law about abortion protects the human rights of women. against an activist named Mark Clarke, who denies any wrongdoing. Our political correspondent Tom Barton is in Westminster. Senior Conservatives are meeting this afternoon to discuss this. senior party chairman, who is now facing questions about his position. we are told today has the full confidence of the Prime Minister. of planned strikes by junior doctors in England, starting tomorrow. Our health editor, Hugh Pym, is here. everything still up in the air. Thank you. he can play at the top level for at least another five years. Premier League, even after they were gifted a goal against Norwich City. His sudden death at the age of just 40 shocked the world. He's regarded by many as one of the game's greatest ever players. Our correspondent Jon Donnison reports from Auckland. New Zealand remembering a legend as only New Zealand can. But even the big men also finding it hard. Just blessed to be part of your amazing journey, mate. we are definitely go to miss you, so rest in peace, brother, thank you. of a remarkable life for the thousands of people who attended. a good person off the field and he is inspirational and a good man. A phenomenal send off for a phenomenal man. of herself has won a landmark legal case entitling her to compensation. Our legal affairs correspondent Clive Coleman reports. talk to him about problems at home. younger than him - late at night, requesting naked images of her. She did as he asked and texted, "Here's what you ordered." He was delighted and replied, "That's so lovely. her phone was discovered by another teacher at the school. damages, including ?25,000 for the text messages and images alone. And the harm done can be serious and long-lasting. happened between me and Bill that I felt it was, I was forced into it. I feel like they're going to abuse me again. of bold and urgent measures to tackle child obesity in England. Our health correspondent Jane Dreaper reports. teenagers' sugar intake is just coming entirely from sugary drinks. we think that will help to make a difference. for unhealthy products to be banned before the 9 o'clock TV water shed. But the UK's food industry believes it's not the right answer. We think a sugar tax would penalise lower income families. So if they're taxed even more they will be hit the most. and it is not clear whether shoppers will change their behaviour. It might help stop parents from buying their kids fizzy drinks. I think the problem with any tax is that people find ways around it. a delayed plan for tackling child o' wees beesty in the new year. He told worshippers Christians and Muslims are brothers and sisters. Our religious affairs correspondent Caroline Wyatt sent this report. a symbol of the faultline between Christians and Muslims here. of fears of Christian militia who would attack them if they left. His visit has been a symbol for many. message that Christians and Muslims can and should live in peace. into overdrive to encourage youngsters to take up the sport. with his brother and, yes, for Great Britain. there is's still many things I would like to try and do in my career. Players are playing longer now than they were before. Davis Cup other than Andy Murray is Kyle Edmond, the world 102. Britain really now a tennis, real any now a leading tennis nation? Andy Murray ends the tennis year having given everything. the struggling bird and worked painstakingly to free it. The picture has since gone viral on the internet. northern England and we will find some snow down to lower levels. Scotland. On Wednesday we start mild and windy with south-westerly winds.